5E How Do You Plan to Play Your Bard? How Do You Plan to Play Your Bard? Thread: How Do You Plan to Play Your Bard? First a small introduction about this post from me. After receiving my Player's Handbook about the 23rd or so of August I have to say that I am immensely pleased by both 5E and the way characters are able to be designed and developed in this edition of the game. Secondly, although I typically DM and expect that to continue to be the case, for the very first time in years and years I actually eagerly desire to play a character. I have several character classes I am interested in playing, namely the Bard and Ranger but I have already made up three characters for me to play. The first is a Bard and that is how I voted in this poll. My daughter will devise and run the adventures in which my Bard will play. There is no need for me to recreate my Bard here but I have his full background already developed and written out, as well as posted to my gaming blog. I plan to play him as historically as possible (based upon Medieval Skalds and Bards) and am very pleased with the D&D Bard Class in 5th Edition. The background I devised for Talisfar I actually began before receiving my Player’s Handbook and because of that I still need to revise and update his background concerning a few minor details. But not by much. I also have two other characters I have designed, but have not yet written up. Okæn the Ranger/Rogue, and Endrêdge the Fighter/Warlock/Cleric. 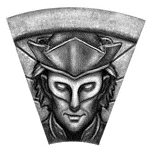 Endrêdge has already designed his first spell, Endrêdge’s Imprint, though he is of too low a level to create and use it, so that will have to wait. Once I get the the backgrounds for Okæn and Endrêdge typed up I will also post those to my gaming blog. Since I am myself a poet and songwriter I plan to devise my own verse, songs, music, and performances for when I will be trying to influence others (characters and NPCs) and to cast spells, etc. I also intend to play him as a Jack of All Trades to some degree, because of his personal and skills background, and as a historian, mnemonist, and Lore-Master. Talisfar is a character of high intelligence so that should fit well with his character.. So, if you intend to play the Bard, either now or in the future, how do you plan to do so? What, or who, will you use as a model? Will you be creating your own songs and verse? If so and you wish to regale us with your verse and song then have at it. Be glad to read what you have created or composed. Just post it here with your answer to the questions and the name and background of your Bard. I plan to model the character Wit, otherwise known as Hoid, from Brandon Sanderson's novels (most recently the "Stormlight Archive" novels). "Hoid is introduced as King Elhokar's Wit (court Jester); he plays the part of the king's weapon, tasked with insulting those that the King can't afford to personally offend. " "Hoid reveals that Hoid is not actually his name, but the "name of someone he (Hoid) should have loved...he reveals that he is a thief of sorts, and that his name is something he stole. He uses words and stories to influence those around him." "Hoid relates that he began life as a thought, a concept, words on a page ... and that this was something he stole, himself. He also reveals that at another time he was named for a rock, a beautiful one that became worthless for his wearing it." "Physically, Hoid appears as a light-eyed, thin, tall man with dark black hair. He wears a sleek, black uniform and a silver sword at his waist. 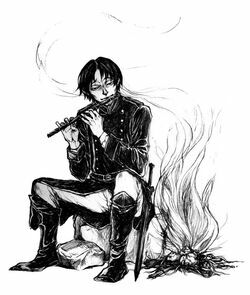 He is equally at home being called Wit or Hoid, and his several appearances throughout the Cosmere indicate that he is a multi-talented entertainer and intelligent man. He shows his cleverness with words by insulting Brightlords at the King's Feasts. He demonstrates his storytelling ability by presenting the tale of Derethil and the Wandersail to Kaladin." "Hoid is described by his peers as having white hair, a clever tongue, and an arrowlike face. They note he dyes his hair sometimes and often wears a disguise which makes his true appearance difficult to ascertain." That's a very interesting concept Mistwell. I personally think that a Bard well played will be a fascinating character and that 5E grants a lot fo room for excellent role play and character development overall. The best of any version fo the game I've seen so far. Love those novels, and love that character! Eagerly awaiting the 3rd book. The bard class is so versitile that I use it for a rather unusual concept. My muse for my character is Indiana Jones. My character is a Spanish archaeologist in an Age of Sail/Age of Discovery campaign. The bard works really well as he has awesome knowledge skills, access to Identify, Comprehend Languages and Detect Magic style spells, all necessary for being an archaeologist. As the class has such good access to skills, he is also good at survival, searching and disarming traps in ancient tombs. I bought up Int and Dex as his main stats, to help with knowledge and combat. A comparatively lower Cha does not really hurt me, as the spells I choose are all related the archaeology and are generally divination based. The only bit that the bard includes that does not fit is the buffing features Song of Rest and Inspiration are extraneous to the character concept. My DM let me trade those in for some other class features, letting me dip into both colleges a little. Personality Traits: Threaten me, shame on you. Threaten my friends, may the gods be merciful to you, for I shan’t. Ideals: Thieves Prosper, the Rich Remember. I always try to take my duty to my deity seriously, and to do right by the right people. Bonds: Lost Love: Sabetina. I haven’t seen her since she left to become an adventurer some five years back following a quarrel, but we were thick as thieves since childhood. She’s the only false-facer better than me. Perhaps I became an adventurer in the hope our paths would cross again. Secret: I really am a priest; but not of Perilandro. I am a priest of the unnamed god, who watches over all the right people, providing shadows and sleeping guards, fat purses and easy marks. Flaws: Stubborness. I refuse to give up, long past time that good sense dictates I ought. Class Abilities: “Blessing of Perilandro” Bardic Inspiration x4 per Day (Bonus Action: Give ally within 60’ +1d6. They can use it anytime in the next minute for an Ability/Attack/Save roll, even after seeing the roll, but before DM announces result). Spells. Feats: Actor (+1 CHA, Advantage on CHA (Deception / Perform) checks when trying to pass off as another person. Able to mimic voices and sounds almost perfectly with 1 minutes study). In combat the character will carry a mace. All his "attacks" though are really the "aid" action, distracting enemies, etc (he wouldn't know what to do with a mace to save his life, but he can fake it). The real challenge is when he gets asked to Turn Undead... Other cleric stuff he can fake pretty well though. That's pretty cool. My bard, which I just started today, has 4 different costumes. She's got the entertainer background and a lot of spell/skill combinations to fool others. I'd never think to take it as far as you have. I've just gotten back into the game, so I was more background/support. We didn't have a true healer, so my Healing Word helped once or twice. Mostly I sat back, ran stealth and shot arrows. So I guess a hybrid rogue-healer. You've somewhat inspired me to expand the deception aspect towards PCs, not just the NPCs. One of the characters I have on the shelf if I ever get to play is a College of Lore bard with a charlatan background modeled after Saffron from Firefly. @Jack7: What song will you compose for when you need someone to stealth well? I'm currently NPC'ing a Bard modeled after Autolycus (from the 90's Hercules/Xena programs, played by none other than Bruce Campbell), who is in turn modeled after Robin Hood, and added some extra flair. IMC I've house-ruled that every character gets a feat at first level (and yes, that means Humans get two). I have a half-elven feller with the Folk Hero background, who (before meeting the PC's) got accosted and wounded by a Noble; he wears an eye patch. Since then, he's sworn to act out against Nobles by robbing from the rich and giving to the poor. As a "carry-over" from his Elven heritage, he is a crack shot with... nope, not a bow, but Eldritch Blast (having taken the Spell Sniper feat). He's played primarily for comic relief, but he is also the party healer and DM mouthpiece when information about the campaign world needs to be delivered. 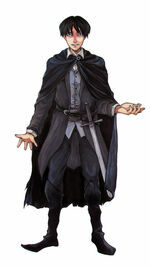 He is also the party equalizer; the PC's consist of a Drow Fighter, a Half-Orc Paladin and a Halfling Sorcerer, each of which is a pariah in "regular" society (Drow are Evil, Half-Orcs are no different than Orcs, and Halflings are a slave race). He is likely going Valor Bard to add another body to the Melee front, but he is adaptable enough that he can "team up" and support any of the PCs. I am overjoyed that bards have finally gotten the mechanical treatment they deserve. The bard is probably the most powerful class. Just having one in the party makes the game oh so much easier. The bard may benefit fomr the 2E to 3.0 cleric syndrome where people though the class sucked so it gets massively buffed so you actually want to play it. Last edited by Zardnaar; Sunday, 14th September, 2014 at 08:38 PM. Should I play a Bard or Monk? Why do you think the Bard gets no play? I would play a bard if. . .
More fun to plan or play?